No matter how good your oral hygiene routine, circumstances may lead to you losing one or more of your teeth during your lifetime. Thankfully prosthetics (artificial body parts) have been developed to allow you to replace missing teeth. Dentures have been, and remain, the go to option. However advances in modern medicine and technology mean there is now more choice. An increasingly popular option is dental implants. Potentially the most desirable choice, the decision process and steps involved with getting an implant are complex. For those of you that have just begun researching implants, you probably want a ballpark on costs, so we’ll jump straight in with that. The rest of the guide explains clearly what an implant is, how they work, the procedure, and answers many commonly asked questions. Let’s be clear about this, dental implants are not cheap. However, the implant and the artificial tooth that are fitted to it are an investment and can bring benefits and gains that are not easy to sum up financially. During the initial consultation, which many practices offer for free, your needs and expectaitons will be discussed. Your suitability and circumstances will be considered. From here the dental practice will be able to confirm whether or not you are suitable and then in turn offer a cost for the treatment based on what came out of the consultation. Every dental surgery will break the costs down differently. It is important to remember and be aware of subtle differences that can affect the price such as the brand used, the techniques used, and the type of artificial tooth placed on top. There are several key stages to getting a replacement tooth as has been identified above. Each of these stages have associated costs that add to the final price you pay. It is very important you are fully aware of all of these costs prior to committing to any treatment. In the simplest breakdown of costs you may have a price for everything. Alternatively the key stages of treatment will be broken down. For example the price for the consultation and preparation, a cost for the surgery, for creating and fitting of the tooth. The most detailed will be a complete itemised bill. Nobody likes or wants unnecessary surprises and extra expense. If something is unclear or you are unsure, ask for clarification. Whilst most people will have all the work carried out by the same dental practice, it is acceptable to have the preparation and placing of the implant done by one surgery or dentist and the supply and fitting of the artificial tooth by another. This may also affect the price. Be aware of some practices that lure you in with low prices, only to find other parts of the process are much more expensive, so what initially seems good value is not. Most practices will be very open and clear about the costs associated with the procedure and happily share this with you prior to any work being carried out. It is best to get several quotations, from different practices to allow you to make a more informed decision. Quite simply, it is not possible to give an exact cost. Your individual circumstances and wants all impact the final price that a dental practice can offer an implanted tooth for. Location, complexity and materials used all have a bearing. As a rough guideline as to what you might pay for a single tooth implant, the price can be anything from £700-3000. How much do multiple teeth implants cost? With every additional implant and artificial tooth required will come an additional costs that will raise the price you will have to pay. However, there are some cost savings to be had if you are having multiple implants at one time. Consultation fees, x-rays, scans and associated fees can be reduced as these typically are being done once, rather than at different times if you were to have each implant done separately. You may need only 1 anaesthetic and surgery time as opposed to multiple instances of each. If you are having 2-4 teeth in a row replaced, an implant bridge can help reduce the cost potentially as only 2 implants might be needed as opposed to 3 or 4. For the sake of example, if you were to have a single implant today that cost £2000 and then another single implant in 2 years time at £2000, the cost would be £4000. However, by doing both at the same time you might be able to pay £3500 today, therefore a £500 saving. 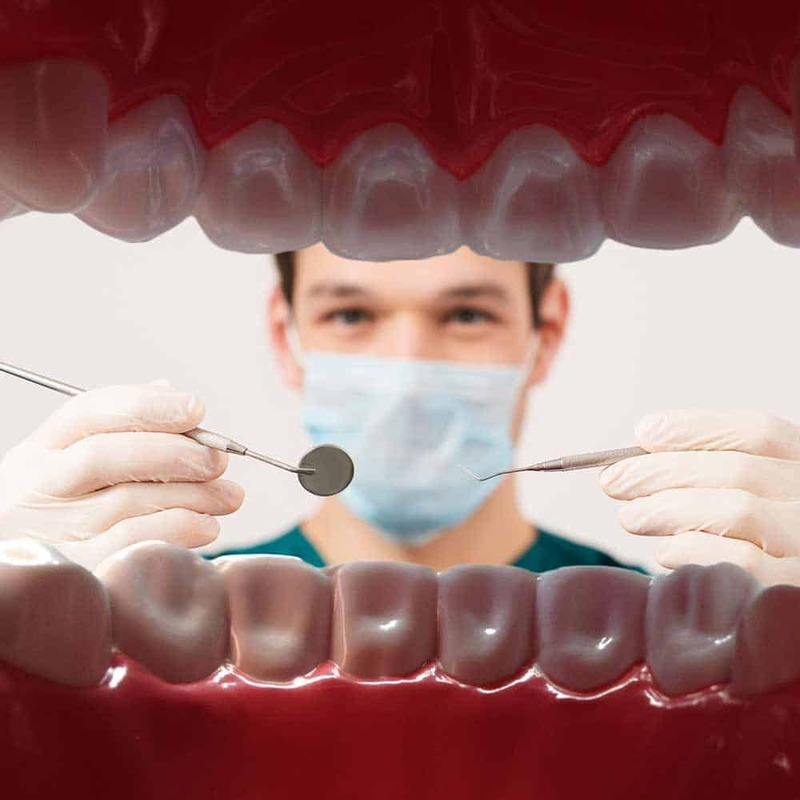 How much do dental implants cost for a full mouth? If you are missing all your teeth and require implants for both upper and lower jaws then the total cost can be up to £25,000. As previously mentioned there are some innovative solutions such as All-on-4 (implant retained dentures) that can bring the costs down to around £14,000 in total or £7,000 per arch. As you should be aware, if you have read the other sections of this article, there are many factors that influence the total cost, so it really is important that you get a professional assessment done to understand what the cost would be for you, as the prices we provide are nothing more than rough estimations based on typical procedures. Are implants available on the NHS in the UK? For the most part, implants are not available on the NHS. The primary reason is the cost associated with them. Implants in most circumstances are considered to be a cosmetic decision and not one that is clinically necessary to maintain or achieve good oral health. For those missing one or more teeth, regular dentures are normally offered. as they provide the basic function of filling the gap. However, there are a few exceptions where you may well be eligible. There are a number of factors that add to the overall cost of dental implants. 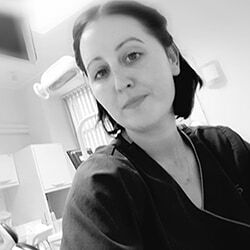 Whilst a routine treatment, it requires highly skilled individuals and specialist products to complete the work and give you the replacement tooth (or teeth) you desire. Even in the first consultation, before you begin agree to any treatment, specialist machines such as X-Ray scanners and CT machines are required. Highly technical pieces of equipment, they are expensive to buy and maintain. Manufacturing and fitting the implant and artificial tooth takes many hours of time not only from the dentist, but a team of associated professionals to deliver what you need. It takes years and thousands of pounds to become trained as a dentist, but even more time and money to be trained and certified in fitting implants. 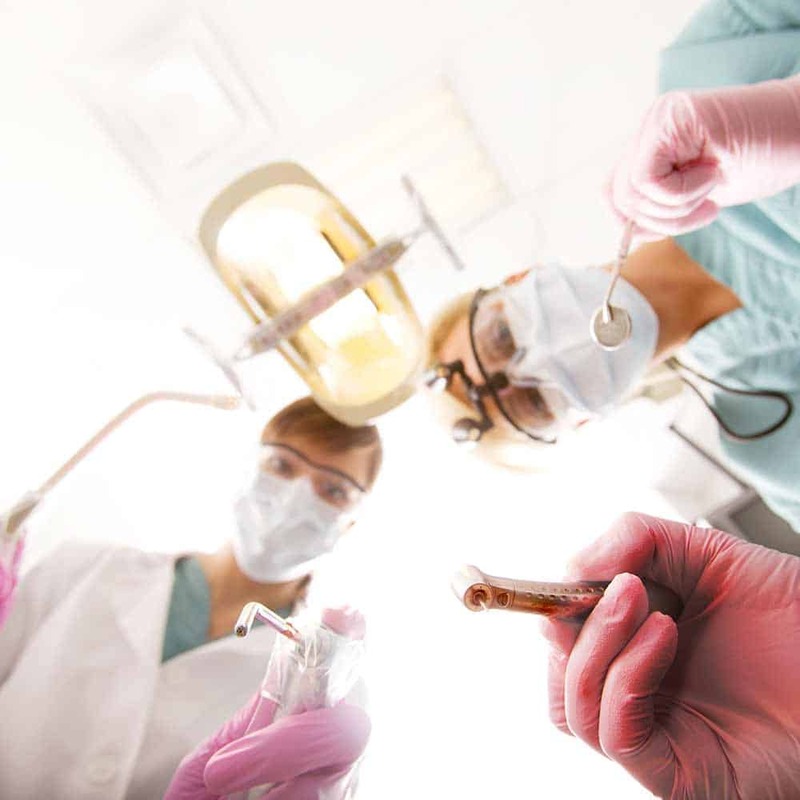 Products have to be precision crafted, tested, revised and meet approved safety standards before they can be deemed safe for fitting in a patient’s mouth. Ultimately, these professionals and the products that are used do not come for free and their time and expertise needs to be paid for. You could say you get what you pay for. Cheap is not always the best solution or what to look for when choosing implants. Cost effective is perhaps a better way of looking at things. “From where?” or “how can I get the best value or most cost effective package of treatment?” is what you want to ask yourself. The best route to achieving this is shopping around, getting the opinion and prices from several implant specialists. As part of this process you may want to consider travelling a little further afield, outside of your main town or city. In some cases you can save hundreds of pounds, just by travelling 30-60 minutes down the road. Generally, prices will be lower where there are a few different surgeries offering the same treatment. The biggest cost savings can be made by travelling abroad, more on that shortly. Whatever quotes you get, consider them carefully as it is not always best to go for the cheapest. If one quote is particularly cheap, question why? Is there a catch, why are they so much cheaper? Would you really feel happy having your implants completed at this price by that surgery? For the most part, it will be your responsibility to pay for your dental implants. Different dental practices will handle the payment differently. If you can afford to pay for the implants outright with cash you have available, you will likely pay for your treatment as you complete each stage of the journey. There may be a payment for consultation, another for the actual implant procedure and then another for the fitting of the teeth. In some instances you might be expected to pay a deposit in advance of the treatment. Given the cost of implants, particularly if having more than 1, many dental practices offer a payment plan. Some payment plans might be managed by the dental practice, but most will be run by external companies who you will be taking out a contract with. The quality of the offer can vary considerably and may well be influenced by your credit history, as credit checks will be completed. This is the same if you are borrowing money for anything you buy. Aim for a 0% plan if possible to avoid paying more than you have to. 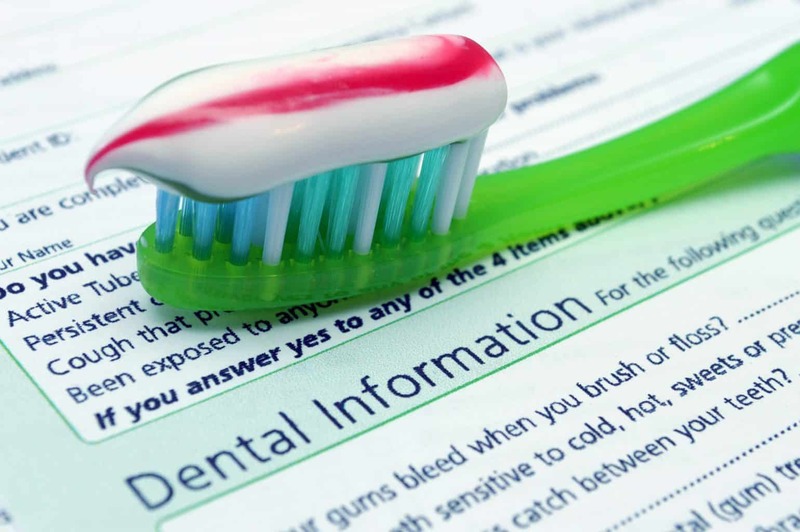 If you have dental insurance, it may well be worth checking your cover, some will be able to contribute to the payment of the work, but few will cover the full cost. Different insurance plans differ greatly in what they offer and what they will pay out. If you think you will need implants in the future, maybe take out dental cover in advance, but be sure to get familiar with the terms of the plan, as they may not cover you based on time periods and payout limits. Only agree to paying for what you can reasonably afford. In most instances implants are not essential and there may well be more cost effective options, even if temporary, until such time as you can afford to have the work done. How much are dental implants abroad? Much peace of mind comes from having the dentist that installed the implants in your mouth, and being just a short drive away is particularly beneficial. They are within easy reach and easily contactable should anything go wrong. However, there are MASSIVE savings, as much as 70% by going overseas for dental care. Many people now make a holiday out of going to get their teeth done abroad. Within Europe, countries such as Hungary, Poland and Spain are some of the cheapest options and all within just a few hours of the UK by plane. Even when you consider the costs of flights, hotels etc, there is money to be saved. Travelling to other countries like India, Brazil and Mexico can potentially result in the biggest savings. The more work you need doing, the higher the likelihood of justifiable savings. But with this you do need to factor in the need for potentially multiple visits. Many have concern over travelling abroad and worry about standards. These concerns are certainly valid. Most of us are more comfortable with what we know, and we cannot always be sure that dentists abroad will treat you to the high standards you would receive in the UK. However, there are practices that are internationally recognised and have invested lots of money into state of the art equipment and training to deliver the very best experiences and results for those wishing to benefit from the cost savings available in other markets. It is not uncommon to be treated like a guest of a 5 star hotel and be pampered from the moment you arrive. Just as you would if getting treatment in the UK, you need to thoroughly research and practices abroad and should not book on a whim or just because it is cheap. Just bear in mind when having treatment abroad that if something goes wrong, and you need to be seen in the UK, it may be difficult for the dentist to help if treatment has not followed a standard procedure. A clear list of positives and negatives can be really helpful in better understanding a topic. Here is a list of what can be considered the main advantages and disadvantages to having dental implants. Long-lasting and durable – This is a solution that can last 25+ years with the correct care. Versatile – Implants can be used to replace, 1, 2 or even a whole set of teeth, in most positions in the mouth. Feel and comfort – Once fitted the teeth for intents and purpose feel and act like natural ones for a more natural and comfortable feel. Restore confidence and happiness – Having missing teeth can restore confidence and happiness by plugging a gap you may have had for years. You can’t lose them – Silly as it might sound, when attached to your jaw, these teeth can’t be set aside and forgotten like dentures can. Prevents bone loss – When teeth are lost, the bone that surrounds them shrinks. Having implants keeps this bone, which can help keep the shape of your face. Stand alone – The implant does not rely on other teeth in the mouth to secure them. No issues with speech – The fitting is so good that you don’t get the whistle or difficulties speaking that you might with dentures. Success rate – 90-95% of those that have implant treatment are considered a success. Only in a few instances are they not suitable or treatment does not go to plan. Of course it is not all positives, there are some negatives to consider too. Price – Be it 1 or multiple implants, these are a more expensive treatment. Upkeep – You treat them like regular teeth, so brushing, flossing, dental checkups are all still necessary. Longer treatment time – With 3-9 months average treatment time, implants are not a quick fix. Surgery – Whilst relatively routine, it is invasive and requires anesthetic, drilling, discomfort and healing time, which will not be right for all. Infection – Like all surgical treatments there is a risk that infection can occur. Complications and failure – Implants do not work for all, not all implants will fuse with the jaw bone and be the success hoped for. Other complications such as nerve damage can occur. Suitability – Implants are not suitable for everyone. They are not recommended in people with severe gum disease, patients who have have radiography to the jaw or are taking certain medications such as bisphosphonates, patients who suffer from immunosuppression. Smoking will also affect whether a dentist will treat you or not. There are in a large proportion of cases alternatives to dental implants, each of which have their own pros and cons. In many cases a dentist will often recommend or suggest these prior to implants, primarily because the cost of the alternatives are cheaper than implants and more readily available. It will ultimately be for you to decide what option you feel is best. However, there are a couple of other implant options which might well be of interest as they can be cheaper and require less surgery. Half the size of regular implants, they can be placed faster with less hardware than traditional implants and offer up a quicker healing time. With this approach (which we have written about in more detail here), a typical implant into the jawbone is required, but the removable element is the prosthetic that is attached to the implant. Using ball joint or bar fittings, the artificial teeth and gum that are attached can essentially be snapped on and off of the implant. This means you can remove them when necessary for cleaning to make the process easier. More affordable, they can be better suited to those who have unhealthy gum tissue or a weaker jaw bone. Where only 1 tooth is to be replaced, a tooth supported fixed bridge is a popular option. 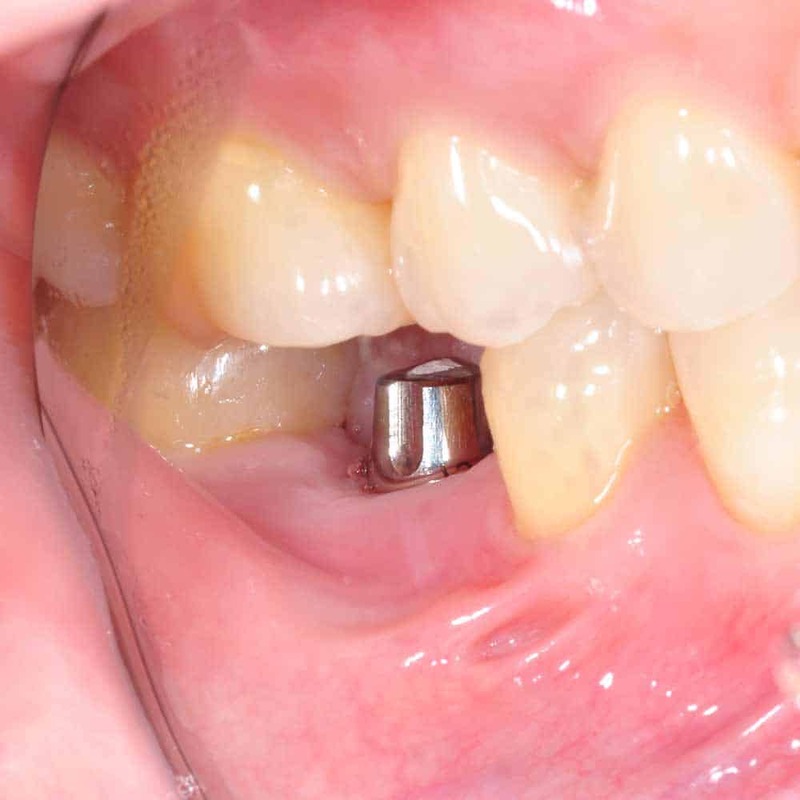 This approach relies on the tooth either side that needing to be replaced, being ground down. This then allows the bridge to be fitted and secured in place. The teeth either side are supporting the artificial tooth that sits in between. Unlike the tooth supported bridge, this does not require any grinding down of perfectly healthy teeth. It is however suitable only for those teeth that don’t have a lot of pressure going through them, like the ones at the front that don’t typically bite into or chew food. It can function and work better than removable dentures, but is weaker than a fixed bridge and will not last as long, normally lasting approximately 10 years. Subject to how many teeth need to be replaced, you can get partial and complete dentures which are removable. 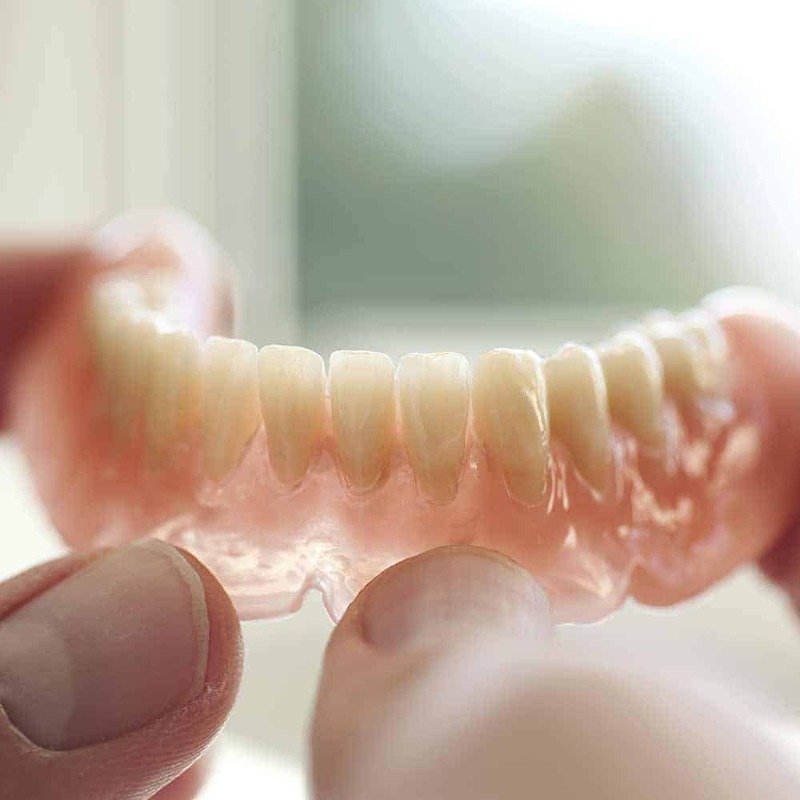 Partial dentures replace multiple teeth, bone and gum. Not as strong as regular implants, the denture usually sticks to the gum or clips around the existing teeth. Lasting up to 15 years you can eat and speak normally with a partial denture, but remove it for cleaning and to allow the gum to recover overnight. For those who need replacement teeth for one or both arches of the mouth, the remaining gum tissue will hold a denture in place by the power of suction or with the help of adhesive. Modern dentures really do not restrict most wearers in day to day life. They are a cheaper option, and they tend to last 5-6 years on average as your gums will alter over time, meaning a new denture is required for a secure fit. A dental implant is an artificial tooth root. This man made component is surgically inserted into the jawbone of your mouth. It forms the base to which attachments can be made for different purposes. 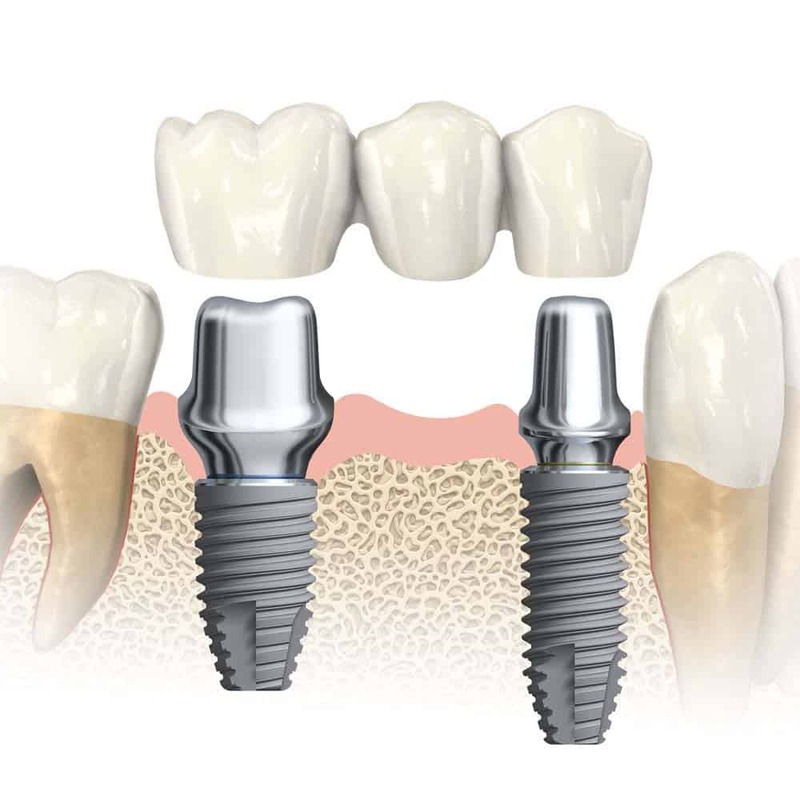 The principle is that the implant acts in a similar way to which your natural tooth root would. Often the term ‘implant’ is used to describe the complete replacement tooth, when it is in fact just the part that is inserted into the jaw bone. A replacement tooth, retained by an implant is made up of 3 parts, the implant, an abutment and a crown. All of these will be explained in more detail shortly. An implant is considered a long term, almost permanent solution, although thanks to their design they do allow for removable elements. Also popular is the implant retained denture. Tooth loss can occur as a result of poor healthcare, genetics or as a result of an accident. Whilst some chose to live life missing one or more teeth, others prefer to replace them. Dentures are the usual solution and whilst functional, need more regular replacement. Some wearers find them uncomfortable, develop a whistle or simply can’t get used to them. They have to be removed regularly for cleaning and do not necessarily provide the same stability. An implant is an option available to those missing teeth, who wish to restore a natural smile or tooth structure to their mouth with the extra confidence of stability they bring. When completed properly, an artificial tooth attached to an implant can look, feel and function just like a natural tooth. For you this can mean the confidence to smile again, as a gap in your teeth has been restored. It can help with chewing of food and simply living daily life. In some cases it can help retain or bring back structure to the mouth, jaw and surrounding facial tissue that has been lost as a result of the natural teeth no longer being present. In more severe cases, an implant is used as an anchor for facial prosthetics. Dental implants are in most cases not a vital need, but they are a cosmetic option that can have significant beneficial impact for those who are suitable for and chose to have them. Implants are a potential option for anyone aged 18 or over, but not everyone is suitable. An implant is designed to fit within the ridge of thickened bone (known as the alveolar bone) that contains the sockets that hold your teeth in place. There needs to be enough depth within that bone for the implant to be screwed into, without it damaging nerves or affecting your health in any other way. If you do not have enough bone, there are techniques (including bone grafting) that can be used to to provide more space for the implant, but additional considerations have to be made at this point. Your general health and suitability is considered as part of an implant process. This is not a question of whether or not the dentist likes you, but there are medical conditions which you might have that can affect whether or not you are suitable. Osteoporosis, haemophilia, and diabetes all cause poor wound healing, and are conditions that can complicate an implant procedure and limit the chances of success. An implant is also not recommended in people who have had radiotherapy to the jaw, a recent heart attack, who take bisphosphonates, or have immunosuppresion (poor wound healing) for any other reason. You need to show signs of being able to take proper care of your teeth and mouth. Those who have lost teeth as a result of poor oral hygiene are less likely to be suitable candidates for implants, as the success very much depends on cleanliness. Dental plaque is a naturally occurring bacteria that grows within the mouth, but if not removed can lead to gum disease (periodontal disease) developing around the implant and causing the implant to become loose and fail. If you have lost teeth due to severe periodontal disease, the implant is less likely to be successful, and you will need to have excellent cleaning habits before being considered for an implant. Smoking reduces healing and therefore reduces the success of an implant. Poor dental attendance may also lead to a failure of an implant. Archaeological evidence suggest that even as long as 4000 years ago, humans attempted replacing missing teeth. Remains from ancient China have bamboo pegs tapped into the bone. More recently in Egypt 2000 year old remains show pegs, this time of metal, with some Egyptian mummies having teeth made of ivory, or transplanted human teeth. Titanium, which forms the basis of implants today was first assessed in relation to bone growth by Bothe, Beaton and Davenport in 1940. A few years later in 1951, Gottlieb Leventhal implanted titanium rods in rabbits. Positive results led him to believe that titanium represented the ideal metal for surgery. Leonard Linkow, an American dentist, in the 1950s, was one of the first to insert titanium and other metal implants into the bones of the jaw, but it was not until 1965 that Per-Ingvar Branemark placed his first titanium dental implant into a human volunteer. It was in 1982 that Branemark really showed off the clinical success and from there implants have developed into what they are today. Most important is getting the implant that is right for you and delivers the desired results. As for your dental professional, they have several choices when it comes to the type of implants used. This type of implant is fitted into the jawbone and is the most common implant used. Once the implant has fused into the bone and the surrounding tissue has healed, a post or to give it its technical name, abutment, is fitted to the implant. An artificial tooth (or teeth), known as crowns are then fitted. In the case of a subperiosteal implant, a metal frame is fitted onto (but not into) the jawbone. Sat under the gum, once the tissues have healed, the frame becomes fixed to the jawbone. Abutments are then fitted to the frame. Protruding through the gums, these give a surface area onto which the artificial teeth can be mounted. Less common, this is an option in some cases for those who are not suitable for an endosteal implant, due to a lack of bone structure. A newer implant technique it is a possible option for those where limited bone structure is a reason for a more conventional implant not being suitable. Half the width of a traditional implant, they require less bone to set within. The implant comes complete with an abutment (the fitting an artificial tooth mounts to), requiring less time and surgery to fit. A cheaper and quicker solution for suitable candidates, it does not offer quite the same stability of an endosteal implant. Why not read our guide on mini implants? 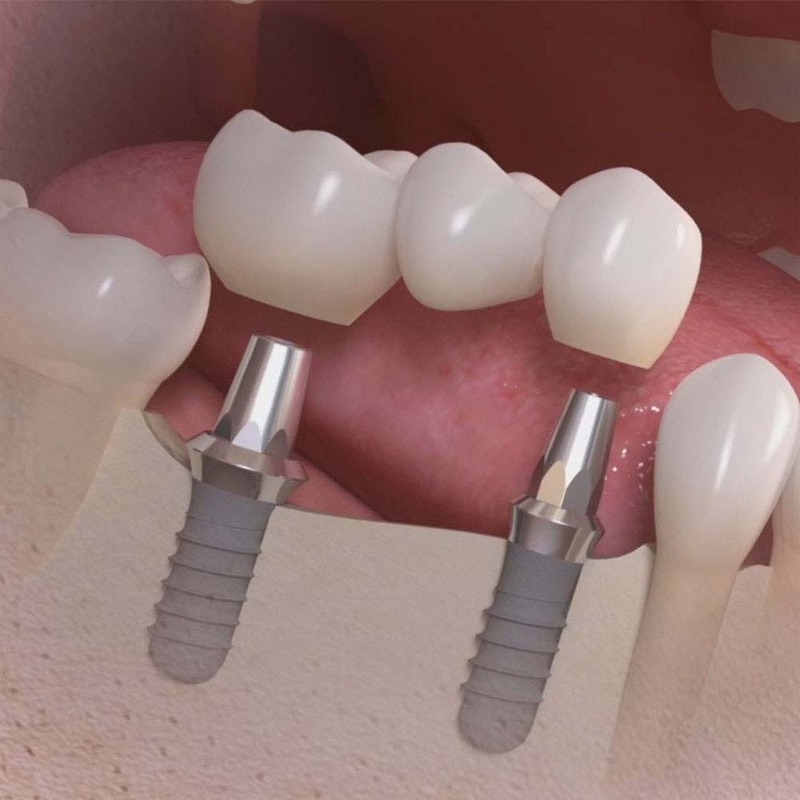 An approach that is not so widely offered and works only in a few cases, an instant implant allows for an implant to be placed into the jaw almost immediately after tooth loss. For instant implants to work, the bone around the failing tooth must be intact and the gum and surrounding area must be infection free. Teeth lost as a result of an accident are most frequently replaced in this way. PLEASE NOTE – The remainder of this article focuses on endosteal implants. Whilst much of the information still applies to subperiosteal and mini implants it is not as comprehensive. Titanium is the material most commonly associated with implants. However, it is not pure titanium that is used to create the implant. On its own titanium is too soft and would not give the strength required. However, when mixed with other metals an alloy is created, which gives the metal the strength required. Considered the best option by most options, it is the go to choice, but it is not the only one. Zirconia is classed as a ceramic and is an alternative option for those who prefer it. Both are approved choices, but do have their pros and cons. Titanium tends to be the go to option as it is a more proven option, having been used globally for much longer than Zirconia. It is cheaper to make and gives a little extra control to the surgeon when fitted. 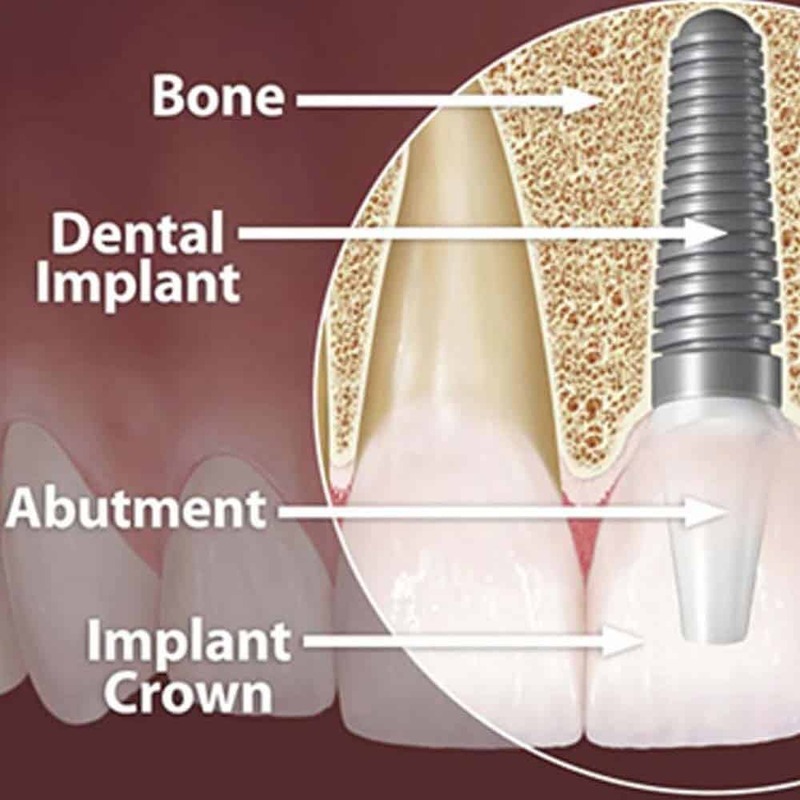 Fitting to these implants you have the crown, which can be made of different materials. You should discuss the options with a dental professional. As you now know, the word implant is used to describe the artificial root that is used to hold the replacement teeth in place with. Depending on how many artificial teeth are being fitted will depend on the name given to these. In the case where just 1 tooth is being fitted, an individual ‘crown’ will be fitted to the implant. Where 2 or more teeth in a row are being fitted an implant bridge is normally used. An implant bridge is designed in such a way that often only 2 implants are required, rather than 1 for each replacement tooth. Do be aware that an implant bridge is different to a traditional bridge that might be used to replace missing teeth. A traditional bridge requires healthy teeth to be cut down and the bridge fitted to them. An implant bridge fits to those artificial roots placed in the jawbone. When all teeth in the upper or lower jaw need to be replaced implants can be used to fit a denture. Unlike traditional dentures that sit on the gum, implant retained dentures fit to special abutments that are screwed into the implant in the jawbone. 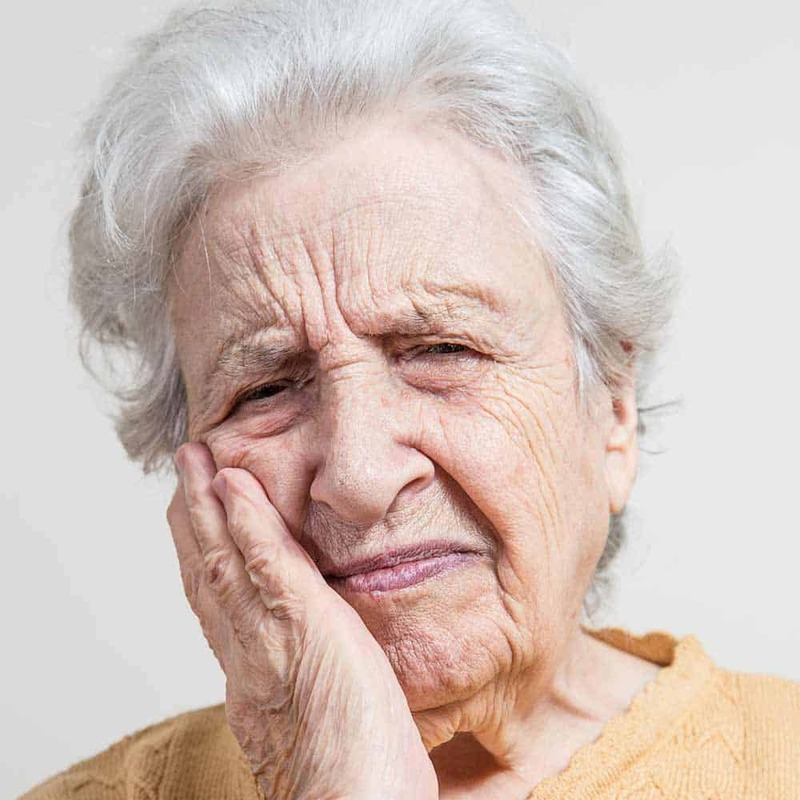 The appeal here is the quality of fit, but despite the implant being fitted into the jaw, these dentures can disconnect and can be removed for cleaning. Every persons case is very different and there is not an approach that is suitable for all. For those who are replacing multiple teeth, be that in a row or a full arch, it is perfectly possible to have an implant and crown for every individual tooth, and not make use of a bridge or denture. Many prefer the extra strength and natural feeling that comes with teeth that are fixed in place. Not to mention not having to remove them for cleaning. 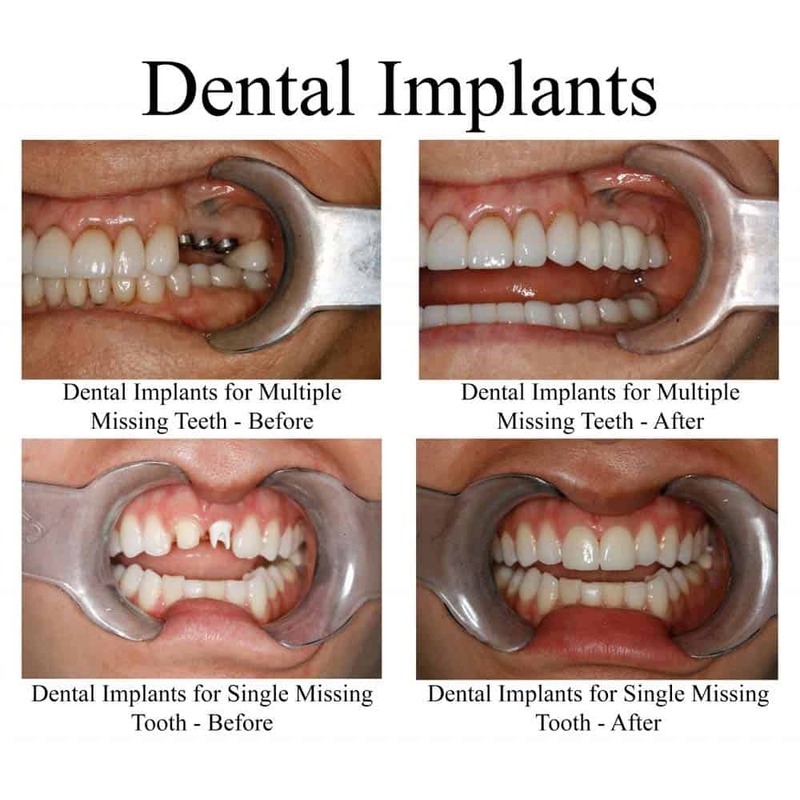 Due to the strength that an implant offers, it is not actually necessary to have the artificial root for each tooth and there are different solutions that give you the look and feel without having to endure the same levels of cost and surgery that goes with lots of individual implants. One such solution is called ‘All-on-4 ’. This modern technique places just four implants in each jaw (arch) and is a less invasive approach to implants. All-on-4 allows for a full arch of teeth to be fitted to just 4 implants within each arch of the jaw. 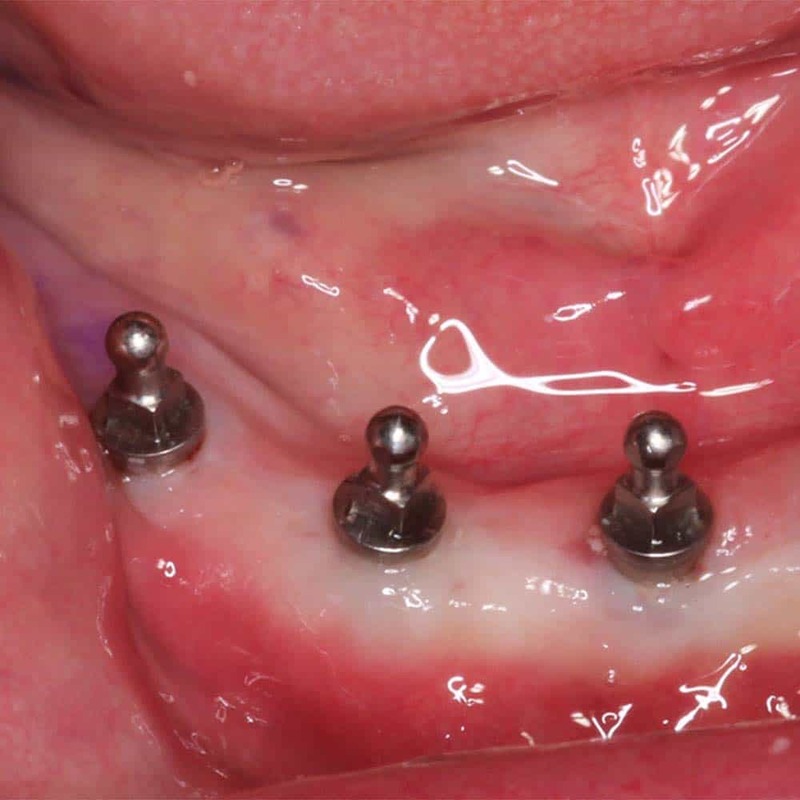 This solution has gained rapid popularity due to the speed at which the procedure is completed and the lower cost compared to traditional techniques using 6-8 implants per arch. Faster and cheaper is a positive, but there are cons, the biggest being that the fitting is not as precise as it is with custom made, traditional implants. Whilst a highly trained professional must fit the artificial teeth, you could consider it a more off the shelf system that essentially allows for new teeth within a day rather than the many months required with more regular implants. The process from first consultation through to having the implant and fitting the replacement tooth (or teeth), can be fairly long. Different dentists have different techniques. In some cases they may place the implant immediately after having the natural tooth taken out, whereas other prefer to wait up to 6 months for the bone to fully heal, before placing the implant in the bone. Then there is the time allowed for the implant to heal in the bone before a crown, bridge, or denture is placed on top. Whilst each case is different, typically you can expect the process to take 3-9 months. Within this time period you have 4 main phases. There will be additional visits and check ups required, but each of the key stages is explained in more detail below. Whilst every step in the process must be carried out meticulously, this stage is perhaps the most important. A consultation with the dentist or implant specialist, also known as an implantologist, will consider ultimately whether you are a suitable candidate for implants. Expect not only to have an examination in the dental chair, but x-rays of your jaw, along with a computer tomography (CT) scan. The dentist wants to get a 3D picture of where your nerves and blood vessels are, as well as your sinuses, before they can discuss treatment any further. Consideration will be made for any existing teeth you have, the way you bite and chew, and any grinding of the teeth that may exist, as well as your medical history. The most advanced surgeries will use special oral scanners to create 3D models of the mouth where all this information can be entered and manipulated to plan for the implants. From this consultation, a plan for the implants can be prepared. For some, additional work might be required, be that having other teeth removed or specialist treatment such as bone grafting to actually allow for an implant to be placed. You are not committed to anything at this stage. This is to check your suitability and explain to you the process and answer queries you may have. Expect to find out the costs, the risks, any complications that may exist and more. This is a vitally important stage in the process and is the beginning of your new teeth. Whilst it is a medical procedure, it is not necessary (in most cases) to visit a hospital. It can normally carried out in your dentist’s surgery. Local anaesthetic is usually used. This will numb the area in which the implant is to be placed, but you will be awake and conscious throughout. You will not feel any pain or discomfort. For particularly nervous patients or where the procedure is more complex, sedation or general anaesthetic may be offered. Your dental professional will discuss whether this is necessary or not. 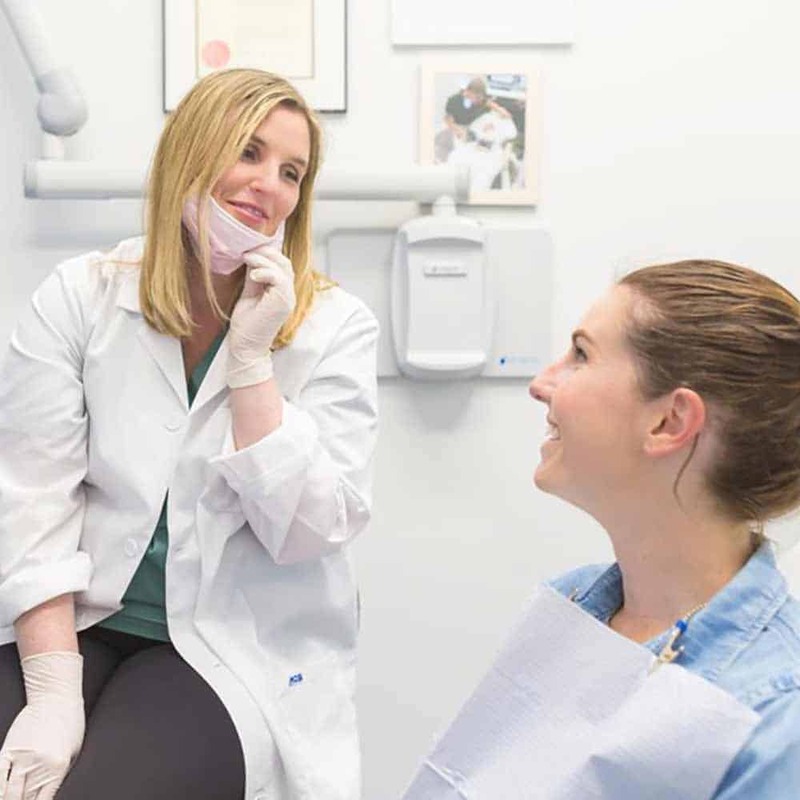 Once you as the patient are ready and numbed up the implantologist has a number of key steps to complete to successfully insert the implant into the jawbone. As part of or prior to this stage of treatment, additional surgeries may be needed by those who have more complex needs. In a more routine case, the first stage is to cut into the gum to expose the bone underneath. Using specialist dental tools, a hole will be drilled in the jaw, for the implant to fit into. The dentist may use several different drills of increasing size to slowly make the perfect fitting for the implant. Often they will have a template made specifically for you – essentially a bit of plastic – to make sure they avoid any vessels or nerves they could see on the scan. The implant is then tapped or screwed into the jaw, subject to its design. Once correctly positioned, the tissues surrounding the area are adapted around the implant to help with successful rooting into the jaw. Depending on the treatment, the implant may have the abutment (explained below) attached now, or a cap might well be placed over the implant (removed at the next stage of surgery), then the gum stitched over with dissolvable stitches. The time taken for the actual placement of the implant is not all that long, around an hour or 2, subject to the number of implants being placed. However, it will vary from one patient to another, based on personal circumstances. Essential to the success of the implant is the healing process that now follows. Depending on your circumstances and how many implants are being placed will depend on how long this process will take. Typically expect 3-6 months for this healing process. During this time, the bone in which the implant has been placed regrows and heals. As it does this, the implant fuses into the bone and is subsequently held firmly in place. The technical term for this process is called osseointegration. If you have the majority of your own teeth, you will not normally be given an artificial tooth during this time. However, if you are missing many teeth and are having a full set of implant retained dentures or teeth, you will normally be given temporary teeth that are to be worn until the healing process is over. Whilst they will provide a good enough fit and allow you to eat and live life fairly normally, these are not generally designed to last as long and do not fit as well. They are a temporary solution, until your custom teeth can be placed. Once the healing process is complete the next stage of the treatment to get your new tooth (or teeth) can begin. At this time, what is called an abutment is fitted to the implant that is firmly secured within your jaw. 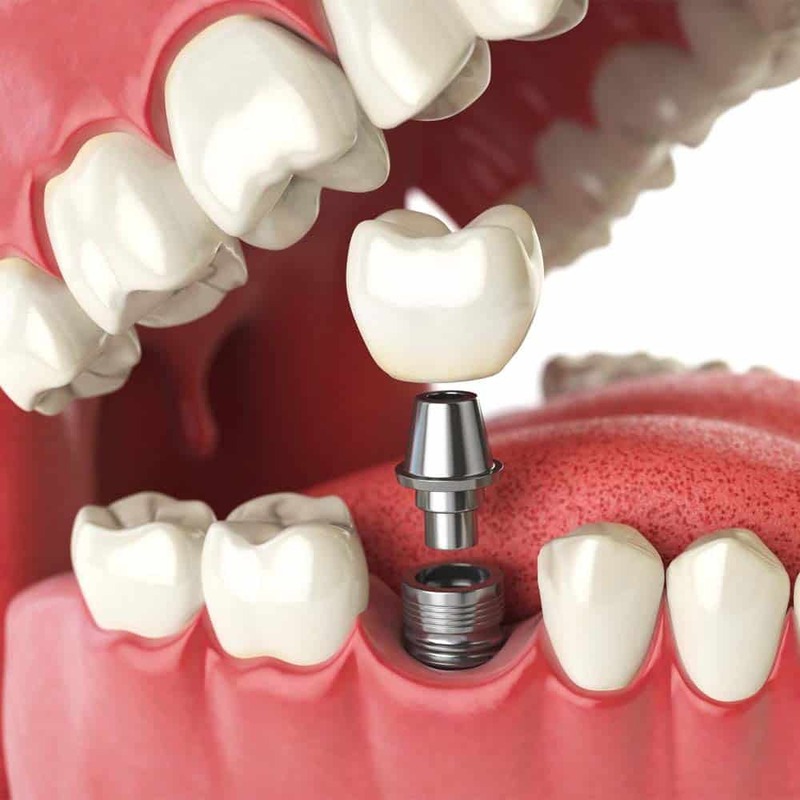 The abutment is the connection between the implant and the artificial tooth that will be placed on top of it. For this to be fitted, another small medical procedure is required. With local anesthetic placed, the gum will be cut to reveal the previously placed implant. Into this will be screwed the abutment. Once fitted, the gum ideally then needs a few weeks to heal again, before your final new teeth can be fitted. During this healing time, you will usually be provided with a temporary crown or denture so that you do not have the awkwardness that comes with an exposed abutment. 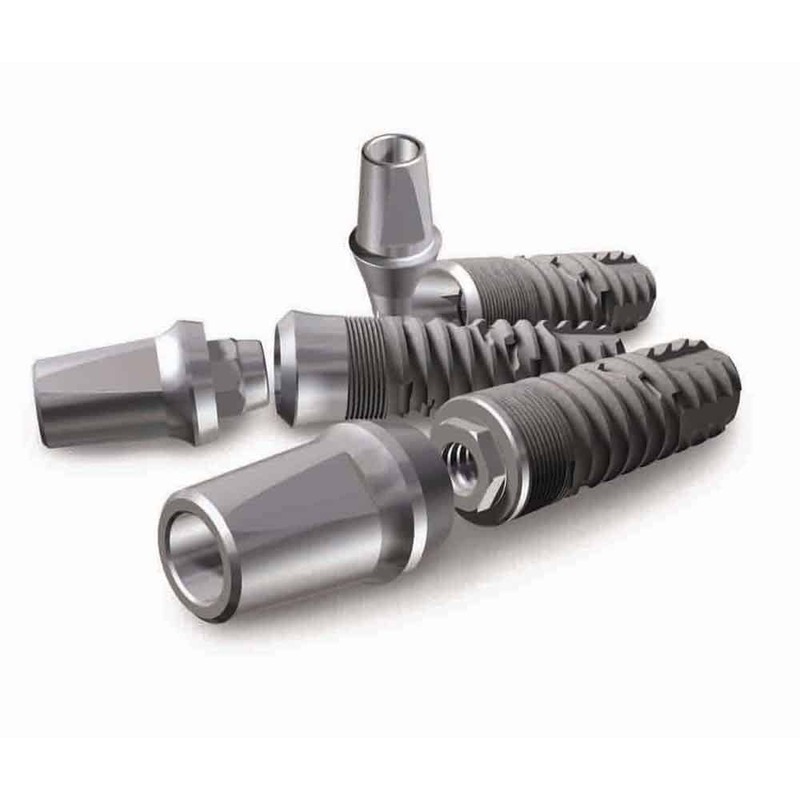 There are different types of abutments that are suitable in different circumstances. Stock abutments are off the shelf attachments that hold a crown or bridge in place, whereas there is the option of custom abutments that are made specifically for you and your teeth. The best implant surgery and packages will make use of custom abutments as this allows for a neater and more natural looking fit. It may well be that at this stage you have stock abutments fitted, only to be replaced in a few weeks with custom ones. If implants are being used for an implant retained denture, then it is likely that a ball or rail style abutment will be fitted in. This type of abutment allows for the denture to snap on or off the fitting. This is the stage that you are likely most looking forward to, the process of getting your new teeth. Before they are fitted they need to be made. To do this, the technicians need to know what they are making. Different practices will do this stage differently. A common tried and tested method is a set of dental impressions, from which the artificial tooth (crown) is shaped. With a fresh set of dental impressions taken, your dentist and a team of highly skilled professionals will craft your new teeth. Consideration will be made for your existing tooth structure, your gums and tooth colour. The principle is that the artificial tooth will look as close as is possible to a natural tooth. Newer technology makes use of the computer and its scanning capabilities to create a 3D model of your mouth. The digital intraoral scanner replaces the need for impressions and offers a cleaner and more accurate approach. The clinician simply moves the scanner around the mouth in a process that takes around two minutes. This results in a highly accurate, 3D digital model that helps create crowns that seamlessly blend with existing teeth without the need for messy impressions. Depending on the approach used, there may be a number of adjustments that have to be made to ensure they are just right, but once ready, it will be permanently fixed to the abutment. The following video gies a good overview of the implant process. Depending on your personal circumstances and the work that is involved will depend on the recovery time. Your dental professional will make you aware of these and any other things such as tips for taking care of your mouth during this recovery period. Immediately after surgery, your mouth will remain numb but this will ease off. It is advised usually to return home (get someone else to transport you to and from the surgery) and spend the remainder of the day recovering. For the first few days after the surgery these symptoms will be at their worst. However within 3-5 days these will usually subside and after about a week, whilst you might feel a bit of discomfort, for the most part you will be ok.
You may well be prescribed painkillers or given suggestions on what over the counter pain medication you can take to ease the discomfort. Your dentist may also prescribe antibiotics or an antiseptic mouthwash to reduce the chances of infections. Should any of the symptoms get worse or you are concerned, do contact your surgery for assistance. For the first 24-48 hours you will want to eat very soft foods that are easy to chew. As the first few days pass you will be able to return to a partially normal diet, but you should still if possible, avoid particularly hard foods until you feel comfortable with these. A good test is if you can cut through it with a fork then you will be ok to eat it. Those foods that require a knife, you might want to think more carefully about for the first few weeks at least. Here then follows several months of healing of the bone and the fusing of the implants to the jaw bone. During this time, you will likely have to make several visits to the dentist who placed the implant for reviews to ensure the healing is going according to plan. Once the healing is complete and you have the abutments fitted you can expect similar symptoms in your recovery process to when the implant was first placed. However, the softer gum tissue heals quite quickly and you will normally find the recovery time is shorter. Once the treatment including fitting of the artificial teeth is complete you can return to a full and normal diet. The implant teeth are as strong as, and act just like, a normal tooth. A welcoming, confident and helpful professional that clearly explains what is involved and answers your questions appropriately might be a better choice. Get the dentists GDC number – every dental professional has one and check it against the publicly accessible database at https://www.gdc-uk.org/. Having dental implants can transform the lives of those who go through with the treatment. The natural look, feel and maintenance required can make everything feel normal again, restoring a confidence and happiness that has long been forgotten as a result of prior tooth loss. They can have significant positive impact on you immediately and for many years after treatment. Implants can restore a smile and deliver benefits that cannot be quantified by a price. However, there is a price to be paid, and it is not cheap. Ranging from £700 for a single implant through to £25,000 for a full mouth, implants are an investment and often it can be worth spending a little more or waiting, to get what you want and are happy with. Personal and medical circumstance may well prohibit you from being suitable for the most common endosteal implants. Other options, often cheaper, do exist, be that mini implants or dentures. Ultimately, only you and only you can make the final decision and decide how much are the implants worth to you personally. Seriously consider the implantologist, the practice staff, the experience and not just the price. For your own sake, before agreeing to any treatment and major costs, take the time, do the research and ask the questions you want answers to. Get multiple quotes along with the opinion of those who have been through the process to help you come to your final decision. You need to be happy with the procedure, the dental professional and all the steps in the process. All being well this guide has answered many questions you might well have had as you read through each section. Here are though some extra commonly asked questions, complete with answers. Our research has suggested that on average there is a 90-95% success rate with dental implants, a figure backed up by the American Association of Oral and Maxillofacial Surgeons. This success rate does depend on a number of factors, notably patient suitability, health and lifestyle. Providing the implants are well maintained, the lifespan can be 25 years of more and there should be little or no need to replace an implant. Whether they last for longer depends upon how well you take care of implants with daily routines like brushing and flossing. Whether your diet consists of eating many harder foods that can put extra strain on the implants. Your overall health has a part to play as does how well the implant was placed and fused with the bone. Another thing to note here is that although implants have been around for 40 or so years and many more people now have them, it takes a long time to obtain the data and really understand long term how well they can last. Having been used for many years they have proven themselves for the most part to be a reliable and practical option for suitable candidates. They are not without risk and cannot be considered 100% safe in all circumstances, but having been used for such a long period any concerns, or issues will have been raised by now. The titanium commonly used in their production widely used in other medical implants and undergoes strict tests and study before being used as widely as it is. Will having implants hurt/are they painful? There should be no real pain to speak of when having the dental surgery or afterwards. Although you will normally be awake during the treatment anesthetics are used to numb the area and stop pain. The immediate days after treatment you will likely feel some discomfort and tenderness, but the use of over the counter painkillers should aid with this. If you have concerns over pain, prior, during or after treatment, speak to your dental professional. 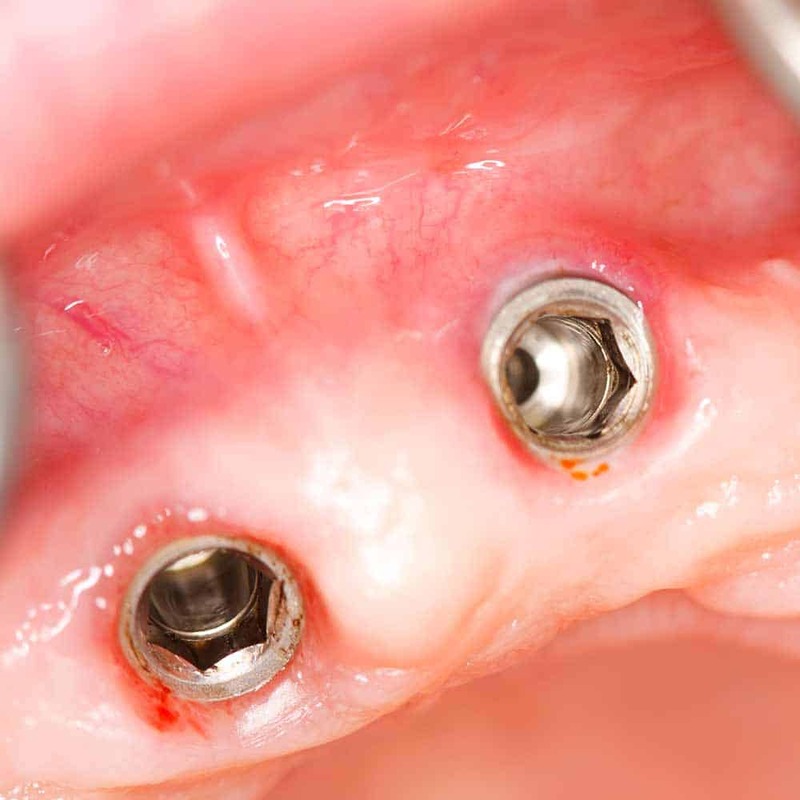 For permanent (non-removable) implants, you care for them like you would a normal set of teeth. You will need to brush twice a day, floss at least once a day and continue with regular dental checkups. Although implants are man-made and designed to last, they require this regular maintenance to be able last. Failing to take this care will result in costly dental bills. Plaque can still build up on the teeth, if not removed it can lead to calculus and tartar. This in turn affect the natural tissues of the gum. Ultimately a pocket around the implant could develop and the implant become loose. Your gums are natural and require attention and as you age your body changes and it is important that you undertake these regular dental visits to get a professional opinion on the state of your mouth and teeth. You can get gum disease around implants just like you can around natural teeth, and it is therefore important that you implement and maintain a thorough oral hygiene routine for prevention. There are different types of implants and some may require a specialised oral hygiene aid – your dental team will be able to show you the best products for you to use. Every case is different, but it is on average from deciding to get implants to fitting the false teeth, the treatment will take 3-9 months. After deciding upon implants, you might be able to actually have the surgery within a few weeks. That surgery will usually take up to a couple of hours. Then comes the longest period within the treatment and that is waiting for the implants to fuse to the bone and for the jaw to heal. Propper healing is vital to the long term success of the process, so this cannot really be rushed. During this time you may have to go back for some checkups. Another small surgery will be required once the healing process is over, to fit the abutments, that link between the implant and the artificial tooth. After a few more weeks the false teeth can be fitted. I grind my teeth, can I have implants? Whilst you dentist will look for signs of this condition, known as bruxism, as part of the planning and consultation phase before undertaking any actual surgery, you should advise the dentist if you know your grind your teeth. The grinding act puts more pressure on the teeth and implants that can lead to extra wear and forces that may damage them n the long term. Therefore the dentist and the supporting team can adapt the implants and teeth to cater for this. Extra implants may be required, different materials may well be used in the construction of the teeth, or you may well have to wear a mouthguard at night to protect the teeth. What’s the age limit for a dental implant? Any adult (18 years or older) can be a candidate for implants. There is no upper age limit either. The older the patient, the higher the possible likelihood of diseases or medical conditions that may add complication to the procedure. However, as part of the initial consultation and planning phase issues like this will be considered. Why can’t children have implants? Up until the age of about 18 years old (21 in males), the jaw bone and associated muscles are still growing, developing and changing as part of the natural process of growing up. Implants are a permanent fixture that does not allow for this change in body conditions and as such is not suitable until the body has stopped growing. Should children require some form of false teeth, dentures will be provided. Using state of the art technology and design techniques, these can be very effective alternatives that can be easily adapted as the child grows. An implant can technically be removed at any point, be that within hours or years after initial placement. In cases where the jawbone and implant do not successfully fuse together, the implant may have to be removed as the process has not been successful. Even when the bone and implant have fused and are essentially as 1, the implant can still be removed if necessary. Dentists will not remove an implant without good reason as doing so can cause weakness in the jaw and bring on a number of other complications as a result. 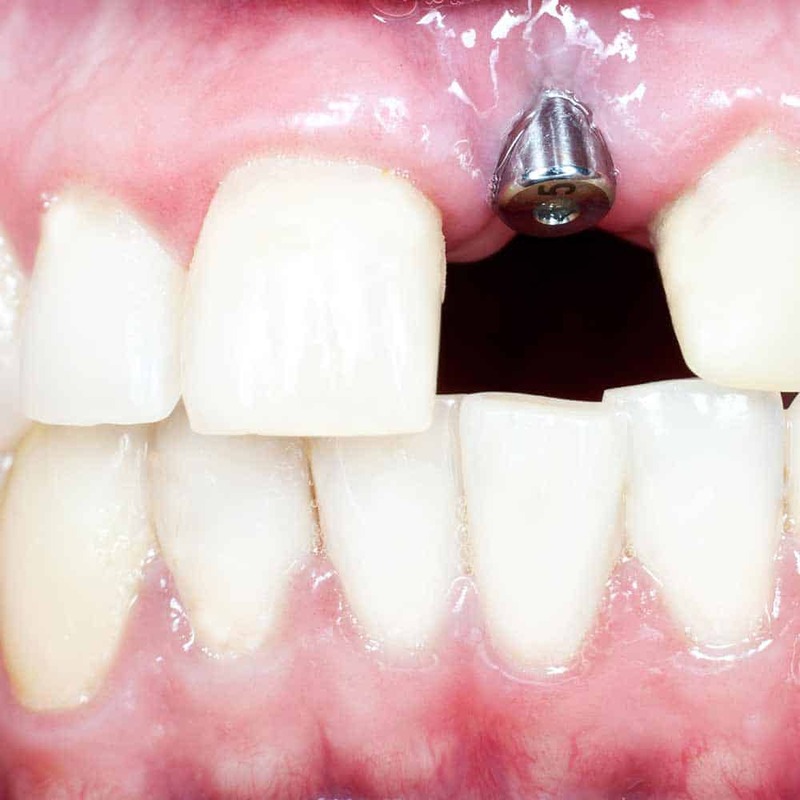 The need for removal will be assessed on a case by case scenario, but any gaps left by a removed implant can heal. In most cases, it is just a case of unscrewing the implant using the same sort of tools that screwed it in place in the first place. In some instances, specialist removal kits will have to be used. There is no better explanation on implants from the perspective of a patient who has been there and done that. Why not watch the following video, where US resident Bethany Wilhelm gives her answers to some common FAQ’s. If you should have any questions, comments or opinions you would like to add to this guide, please do so, by commenting below. Should you have or be going through the process of implants yourself, why not share some feedback for others to take advantage of. This is a comprehensive guide that almost covers everything related to DI. However, for the medically comprised cases such as bleeding, myself is a hemophiliac, could the immediate loading or the strategic basal implant provides a solution? I read that it is performed with minimal surgery interference, and considered extremely non-invasive? what is your advice for a person with Hemophilia A who requires a full mouth rehabilitation? As you are aware being a haemophiliac adds a complexity to the implant process. You need to see and discuss you circumstances with a specialist implant dentist, often known as an implantologist for the most accurate information. I have had a word with our in house dentist Chhaya, she isn’t an implantologist herself to be able to advise on whether or not the strategic basal implant is a solution for you. She has suggested that there are options for you to have regular implants placed. In order to do this, you just need to have some extra treatment which would take place about an hour before the implants are placed. This treatment gives you a replacement to factor 8, the agent in the blood that helps with the clotting, something you are missing. You would be given 4000 units of factor 8 to stop any bleeding. This can only be done by a highly trained dental professional, not just any regular dentist. This information is as a guide only. Please do seek out a specialist for personalised advice. Wow! What a detailed article. And I’m a Dentist! Great job!